Note: Ausflag is an apolitical, non-profit organisation seeking to secure the popular support of the Australian people for the adoption of a truly Australian flag. 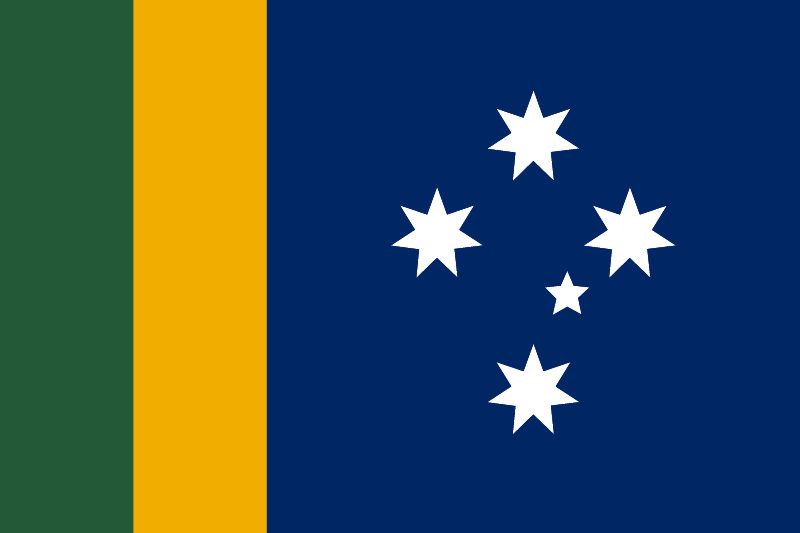 The Chairman of Ausflag, the Hon Robert Webster, today launched a new Australian Sporting Flag. Mr Webster said: "The London Olympics proved once and for all, what a confusing and embarrassing flag the Australian flag really is. 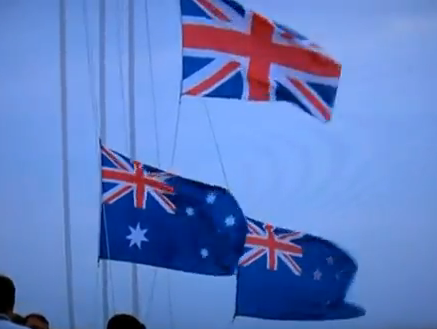 Australia entered the Olympic stadium with a defaced British ensign, along with a line up of other competitors who also had Union Jacks dominating their flags. But all those competitors, with the exception of Australia, New Zealand, Fiji and Tuvalu (population 8,000) are colonies of Great Britain, not independent countries. "With the recent announcement that Fiji will change its flag, soon there will be only 3 nations out of 54 in the Commonwealth, whose flags are still dominated by the Union Jack. All others have their own, unique flags, symbolising their sovereignty, identity and independence." "One of the most embarrassing moments was the flag raising ceremony at the 2012 London Olympics, following the women′s pair rowing event ... all to the dulcet tones of God Save the Queen. UK first. Australia second. NZ third. It looked like Mother England teaching her kids how to fly. Or as one person summed it up in a letter to the editor in the Sydney Morning Herald (3 Aug 2012): "Britain, Little Britain and Littler Britain. Wake up Australia and get some pride". "When England, Scotland, Wales and Northern Ireland compete in the Commonwealth Games, they use their own, unique flags (eg the Cross of St George), while we compete under the Union Jack. It′s beyond absurd. "And it would be difficult to find a more Monty Pythonesque scenario, than when Australia plays New Zealand in sporting events. Mostly, we hide our flags and wave cartoon Boxing Kangaroos at Silver Ferns." Mr Webster added: "We must have a flag which we can fly proudly and wave at sporting events. A flag that tells the world we are Australians, not some British Branch Office, still clutching at the skirts of Mother England. A flag which confuses no-one. "Ausflag will promote this flag at international sporting events, wherever our resources permit," Mr Webster said. "With Fiji announcing they will soon be removing the Union Jack from their flag, the race is now on to see if Australia will be the last independent country in the world to cling to an outdated, confusing and now embarrassing national symbol. "And as to branding; placing the symbol of a major sporting and commercial competitor in the dominant position of our flag is as ludicrous as Google placing an Apple logo in a dominant position in their advertising. "This campaign is not anti-British. It′s passionately pro-Australian. It′s no more anti-British than when we changed our national anthem from God Save the Queen to Advance Australia Fair," Mr Webster said.